A strange one that screwed some of my simulations. In Maya 2015⁄2016 if you emit fluid from particles with the lifespan mode set to Random range or rand() in lifespanPP, the particles don’t get killed if you emit the particles and the fluids at the same time, altering then your simulation. Keep in mind that there isn’t any max count for the particles! It’s just limiting the max count by itself in a strange way. Some particles are killed but the majority aren’t. 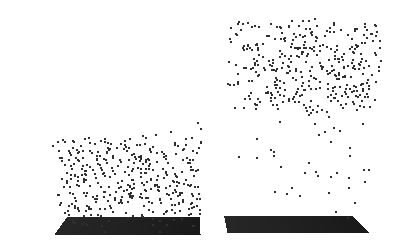 The basic solution is to do the simulation in two steps, cache the particle while deactivating the fluids then do the simulation of the fluid. You can open this .ma Maya scene to see the problem by yourself.